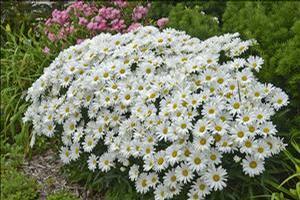 Three inch wide, single, pure white, daisy-like flowers with a gold button center forms a solid dome of bloom. A super compact, highly floriferous selection. In the Midwest, this plant typically grows 20-24” tall and wide and blooms from early summer into late summer. 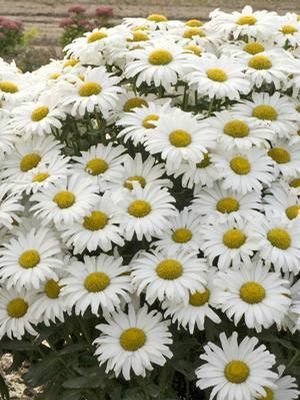 However, to account for the national variability in Proven Winners trials, they describe this plant as growing 12-24” tall and blooming from spring to fall with deadheading. PROVEN WINNER. Photo courtesy Walter's Gardens Inc.
© Copyright 2019 National Nursery Products. All Rights Reserved.